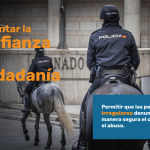 Pro Igual reminds that all victims of hate crime in Spain, irrespective of their legal status, can anonimously share their experiences through its hate crimes survey. There must never be crimes without consequences, or victims without voices. Everyone should be able to report without fear. 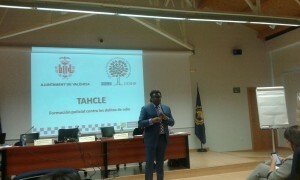 Pro Igual continues its initiative to survey individual experiences with hate crime in Spain. 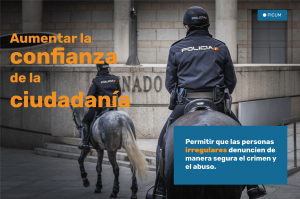 If you were a victim or witness of a hate crime, or know someone who was, please help us raise awareness of the true scope of the phenomenon by taking part in our online survey on hate crimes in Spain, and sharing the link among your contacts and networks. The 2015 survey is available in Spanish. All responses are strictly confidential. Thank you for your help! Over 30 million people fall victim to crime in the EU every year. People who travel or live abroad are potential victims of crimes committed in a country other than their own and need access to justice. This can affect particularly harshly those who find themselves in an irregular administrative situation. The EU Directive establishing minimum standards on the rights, support and protection of victims of crime was adopted on 25 October 2012. It replaces the 2001 Framework Decision and will ensure that victims are recognized and receive proper protection and support. The Directive considerably strengthens the rights of victims and their family members to information, support and protection as well as their procedural rights when participating in criminal proceedings. It also includes provisions that will ensure that professionals are trained on victims’ needs and encourage cooperation between Member States and awareness raising on victims’ rights. All EU Member States must transpose the Directive into the national law by 15 November 2015. If implemented properly, the Directive could fill the important gap that currently exists with regard to protection of undocumented migrants who become victims of discrimination, hate crimes, and other crimes in the EU. 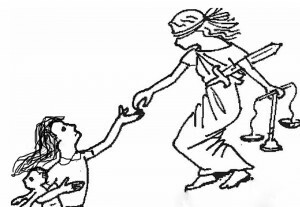 The text of the EU Victims Directive is available here: http://ec.europa.eu/justice/criminal/victims/index_en.htm. Spain is currently in process of transposing the Directive and the draft law has been made available for public consultations. Pro Igual prepared comments and recommendations on the draft law, available (in Spanish) here. 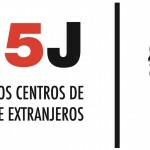 We urge other Spanish civil society organizations working on rights of (undocumented) migrants to join in the effort to ensure justice for all victims, regardless of their administrative situation. Let´s Say No to Hate! Three years ago Europe saw up close the ugly face of violent ‪#‎xenophobia‬ & ‪#‎racism‬. Let´s honor the victims of the Utoya massacre by say NO to ‪#‎hatecrimes‬ & ‪#‎hatespeech‬. Please sign the petition to make July 22 the European Day for Victims of Hate Crimes. This initiative is promoted by No Hate Speech Movement in which Pro Igual Participates. Click here to read more.